The English Woodlands Timber you see in front of you is down to hard work over many years and by many people. We’re still growing and changing and the world of wood is our proverbial oyster. 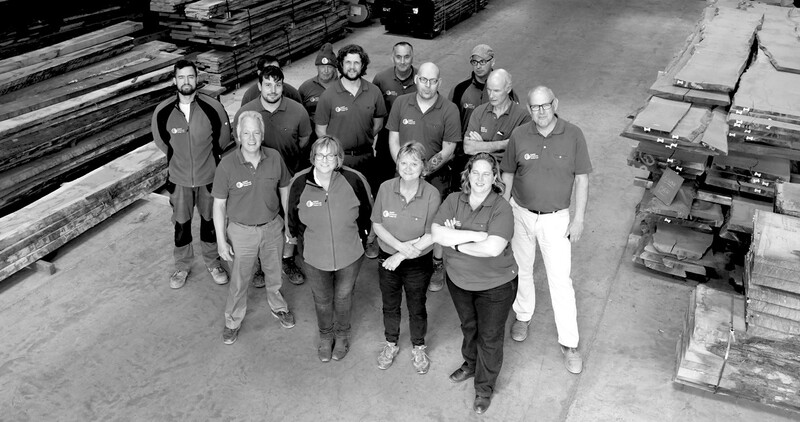 As more customers come to us for wood we want to provide more ways to make them happy. That means we’re sometimes looking for new people to join the company. And by that, we don’t just mean another pair of hands to the pump, we mean people who’re serious about being part of a timber team. When it comes to working with us there’s no doubt that skill, knowledge and experience in the appropriate areas are important to us, but depth of character, a cheerful disposition and an openness to learn new things also feature high on our ‘wishlist’ for a new colleague. The team is small and the role is key, so here are some KEY questions. Read the detailed job description and then send us your CV with a covering letter telling us about you and why you’re right for this role. 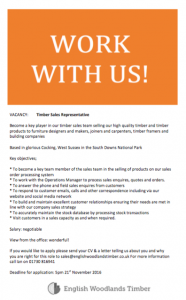 This role is as part of a small and bijoux sales team that takes care of our customers’ every want (and a lot more besides!). Because the team is small this role is key. Are you articulate and good at communicating over the phone, by email and face to face? Does using software and online platforms come naturally to you? Would working with your team on goals and objectives to build the company and make customers happy be enough to get you out of bed in the morning? If you answered ‘Yes’ then we want to hear from you… even if your love of wood exceeds your knowledge of it! If you like the sound of working with us then why wait for us to post a vacancy? 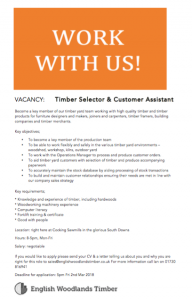 Carpe diem… get in touch and tell us what you could bring to English Woodlands Timber.